Desi Smith Photo. Front left to right, Honory Dr.Angela Sanfilippo, Mayor Sefatia Romeo Theken and Daniela Snopkowski. 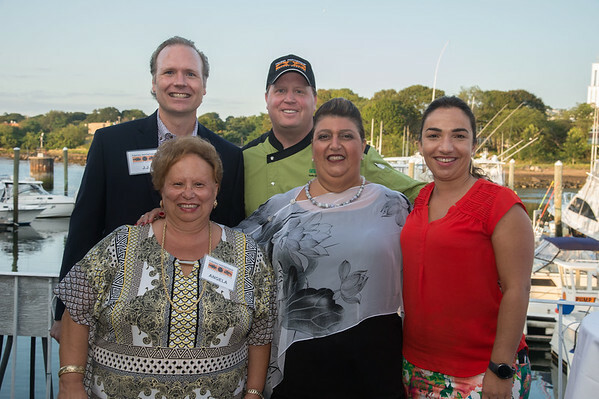 Back, J J Bartlett, President of Fishing Partnership and Chef Todd Snopkowski of Snap Chef, pose for a photo at the Sea to Supper Celebration and fundraiser held on August 24,2017 at Mile Marker One Restaurant & Bar at Cape Ann's Marina Resort.